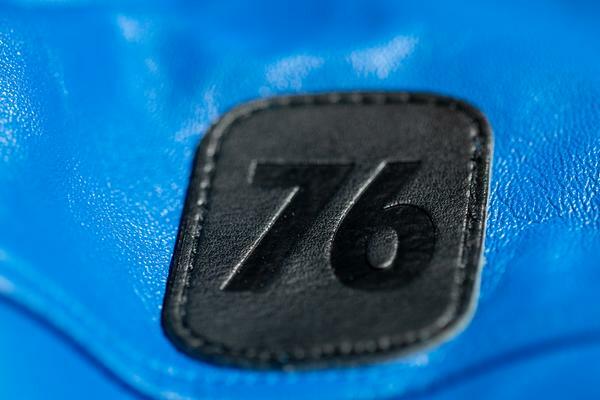 All the video game lovers are aware of the famous action series video game Fallout 76. 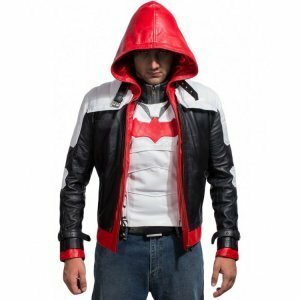 The 9th series of this multiplayer action game is expected to release this year, this video game has already made its fan to desperately wait for the new series. 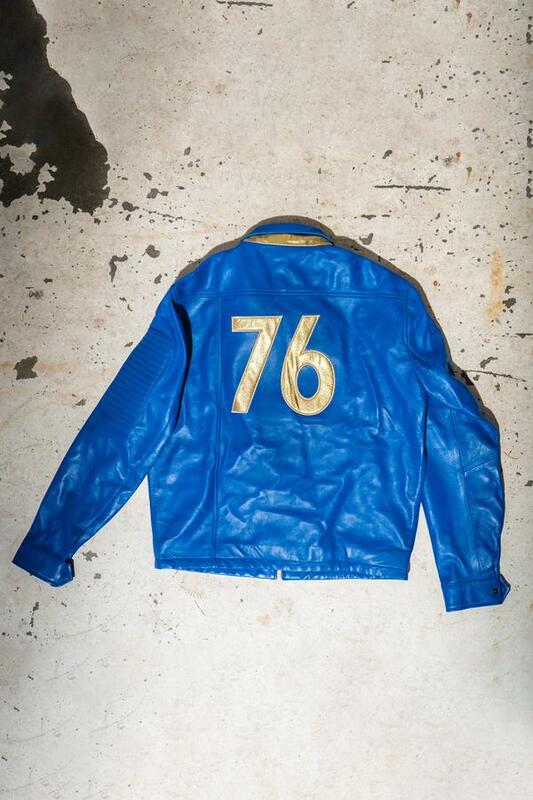 The game is all about the survival and shelter given to the American’s after the nuclear war. 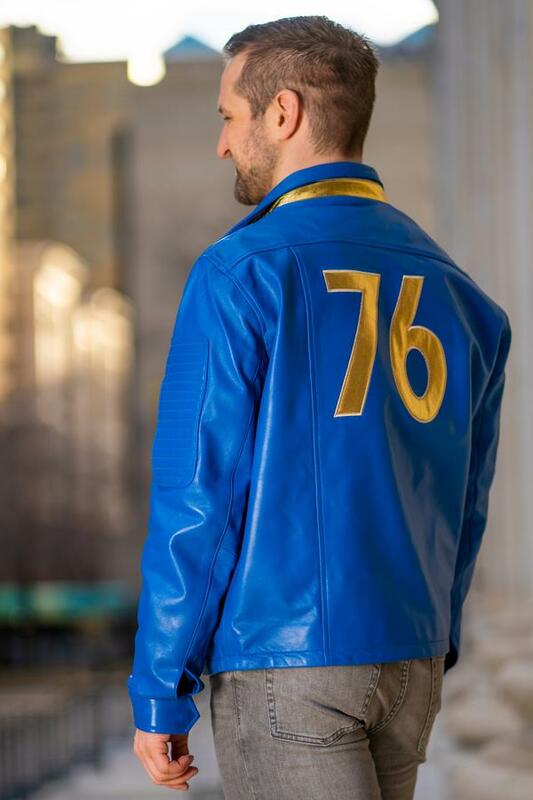 The vault’s resident is the key player and he is adorning the Fallout 76 Jacket that is absolutely famous amongst gamers. 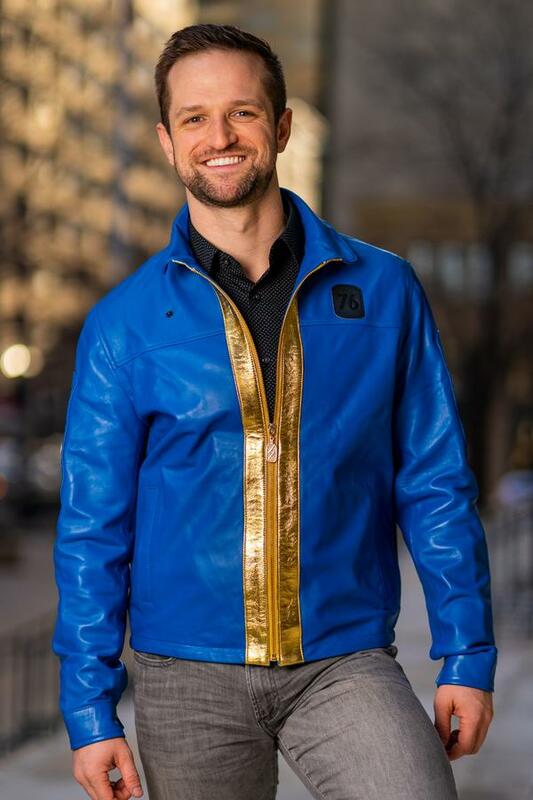 This Fallout 76 Leather Jacket is made with fine quality real/faux leather that brings the perfect real look as shown in the video game. 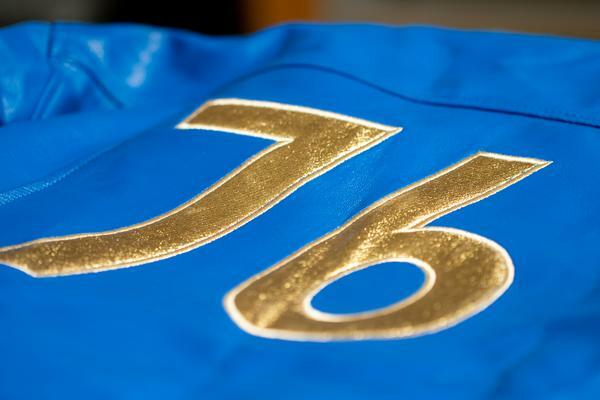 The lining of viscose make it a relaxing wear, Fallout 76 Jacket has its logo printed on the back for its fans. 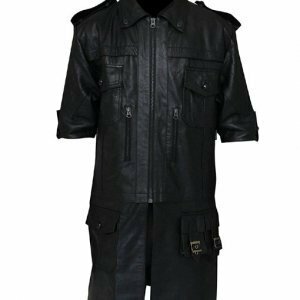 The jacket is exactly the same as you see in video game; it has stand-up collar, and full sleeves with open hem cuffs, to keep your belonging and gadgets it has pockets inside. 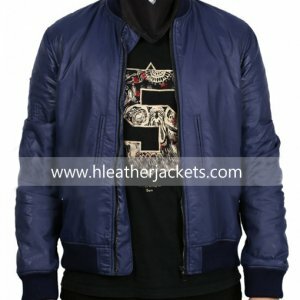 The detailing on the jacket is given with the same gold color that really adds to the beauty of this blue color outerwear.